Quantum-H is a premium humic acids solution extracted from Agri-Plus, a high-grade leonardite ore. With a higher concentration of short-chain humic acids molecules and fulvic acid than any other humic acid products on the market, Quantum-H is a very plant active liquid humic acids extract. Manufactured using proprietary methods of extraction, settling, and handling, Quantum-H offers lower sludge content and is easier to handle than other humic acid products - making it the industry benchmark. Can be applied to all crops, including vegetable crops, trees and vines. Staining may occur. Can be used to all soil types. 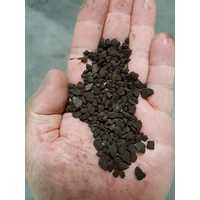 Many research papers validate the benefit of applying humic acids to seeds or seed pieces. Soaking seeds with Quantum-H may lead to increased yields for potatoes, tomatoes, cabbages, rice, eggplants, cucumbers, and other field crops as well as greenhouse crops. Add 2 litres of Quantum-H per 76 litres of seed-soak solution. 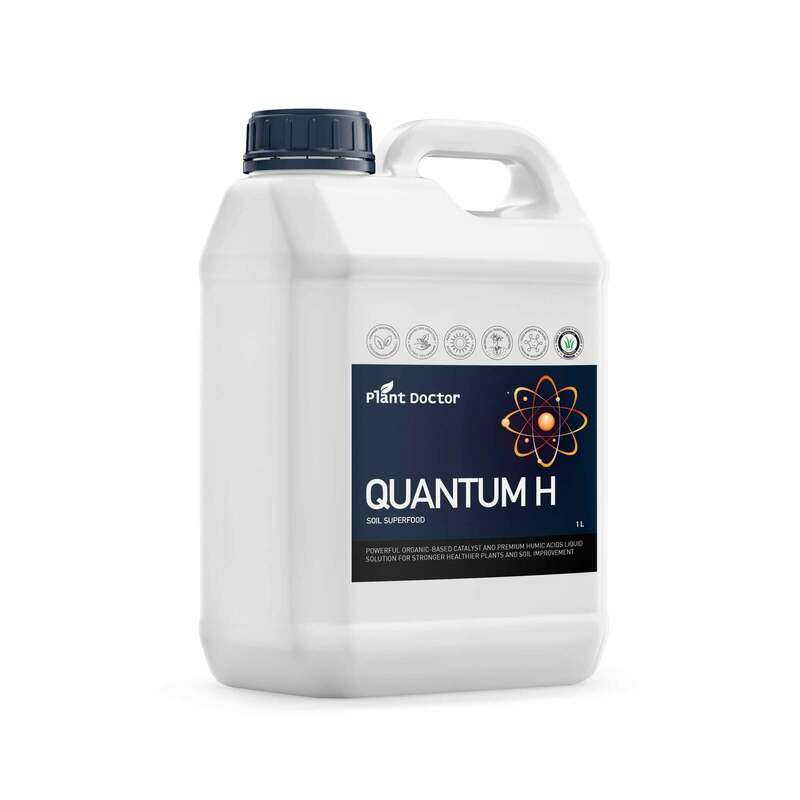 An added benefit of applying Quantum-H with liquid fertilizer is an ability to buffer the salinity and toxicity of fertilizers. Most phosphate fertilizers are formulated with ammonia, and seedlings are sensitive to ammonia toxicity as well as salt burn from applied fertilizers. By adsorbing ammonium and sodium cations, Quantum-H can reduce the toxicity of these fertilizers. An excellent way to ensure improved emergence and early growth is by applying phosphate fertilizers with Quantum-H as a pop-up starter fertilizer. Add 146ml. per hectare of Quantum-H to pop-up fertilizer solutions. The most widely accepted use for liquid humic acid products is in pre-plant and starter bands. Quantum-H can greatly improve phosphate availability and stimulate the respiration rate of seedlings, which leads to quicker germination, faster root and shoot growth, and higher chlorophyll density. Apply 146ml. or more per hectare of Quantum-H with all banded liquid nutrient solutions. Quantum-H also may improve the uptake of phosphates from banded fertilizers in two ways. 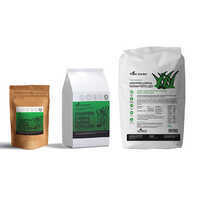 First, humic acids sequester (chelate) soluble calcium and protect the phosphates from the calcium-phosphate interaction. Second, the amine functional groups on humic acids can absorb the phosphate anions, improving its availability for plant uptake. Many researchers correlate plant growth with varying concentrations of humic and fulvic acids in the soil-water solution. For most crops, the greatest plant response to humic and fulvic acids runs anywhere from 10 to 100ppm. 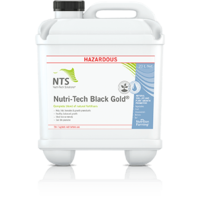 Adding Quantum-H to in-season water-run liquid fertilizers will provide ample humic and fulvic acids to stimulate plant growth. Quantum-H will also complex all plant nutrients and keep them plant available. In addition, it will reduce nitrate leaching and act as a nitrogen regulator to limit the "luxury consumption" of nitrogen. Quantum-H should be mixed with all banded, soil-applied and water-run liquid fertilizers. 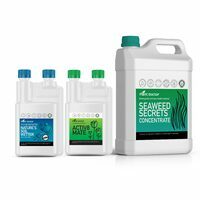 Application rates of 2 to 4 litres of Quantum-H per 38 litres of fertilizer will assure the proper concentration of humic and fulvic acids will be reached. 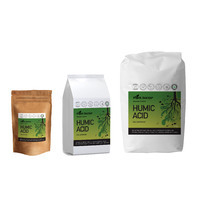 The use of small quantities of humic acid has demonstrated an incredible ability to flocculate the soil, increase water penetration, and reduce water run-off. Adding Quantum-H to your water-run liquid fertilizer will enhance water penetration. Additional applications of 146ml. of Quantum-H per hectare several times during the growing season will reduce puddling, sealing, and run off. 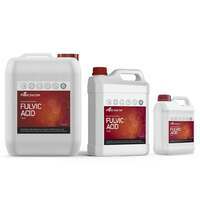 In addition to Quantum-H, a seasonal application of Agri-Plus® - a 70% granular leonardite blend – will provide you with an abundant supply of humic acids to improve soil structure throughout the growing season. 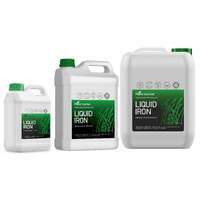 Apply 6-10 litres of Quantum-H per Hectare. (preferably apply over multiple applications). It may be water run, side dressed, mixed with soil applied liquid nutrients or sprayed directly on the soil. 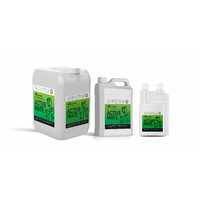 Apply 2-4 litres of Quantum-H per Hectare mixed with the liquid nutrients. Add Quantum-H to a partially filled tank. Include Quantum-H with every application. Smaller amounts of Quantum-H may be applied in every irrigation instead of only one application. Quantum-H is not corrosive to pipes or nozzles and will not plug them. 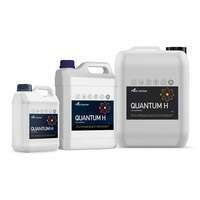 Mix 4 litres of Quantum-H per 750 litres of solution. 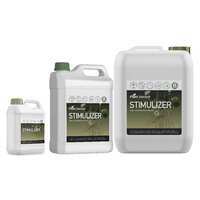 FOLIAR SPRAY: When spraying alone on the foliage, dilute at least 1:20 in water. 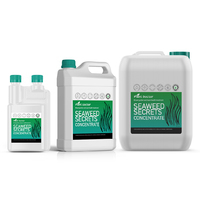 Dilute 30 ml per 9 L watering can and apply the diluted mix at a rate of 1 litre per square metre or (50-75ml/100m2) in enough water to provide thorough coverage. Great speed of delivery, and I have noticed the an improvement in my lawn after using Quantum H. Very happy will continue to use. This stuff is fantastic. I have predominantly clay based soil and mixing this with nature’s soil wetter has given amazing results. This stuff is awesome, really noticed the difference to lawn health since I started applying it. Highly recommended! Delivery was lightening quick.. 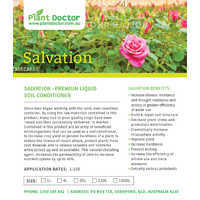 I have been using this product with Natures Soil Wetter. Have achieved great results!